Responsive Egg Flow (REF) is a unique, money saving system that electronically counts and controls the flow of eggs from the hen house to the processing equipment. A farm-tested, user-friendly system, REF helps to reduce shell damage by gathering all houses simultaneously or in batches, REF automatically regulates belt speeds to provide smooth egg flow to the plant. 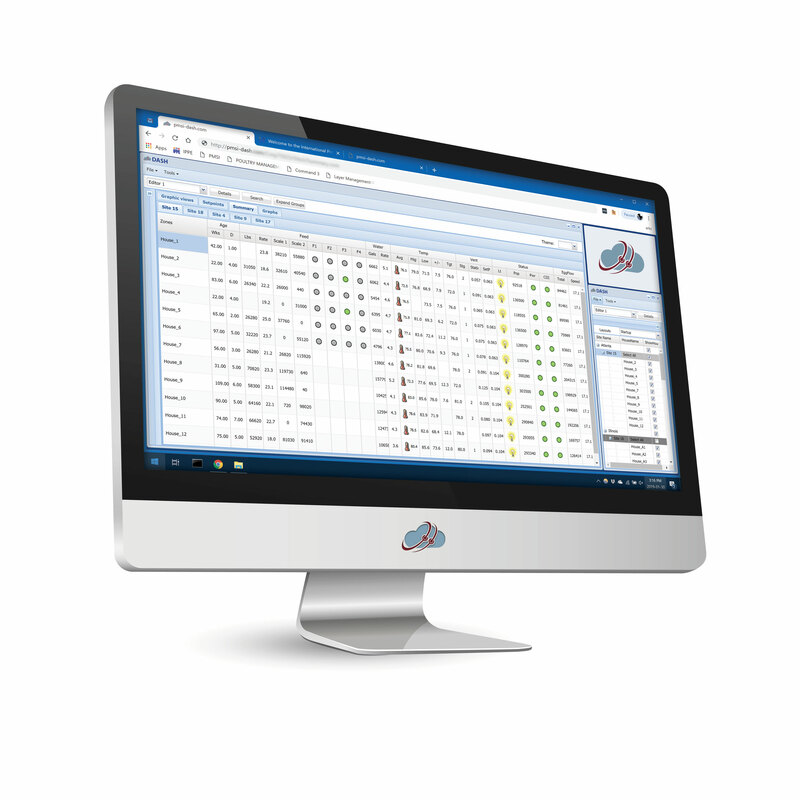 By the simple method of logging into a web-based dashboard, managers are able to access production and processing data easily without the need for client software (Teamviewer, VNC, etc). DASH allows access from virtually any computer, phone, or tablet. As the virtual office continues to grow, producers will be able to compete more efficiently. The CIIIe along with our egg counters, you’ll have the most accurate egg production system in the industry. Using the most advanced engineering and systems available, PMSI’s CIIIe and egg counters will accurately count each and every egg. Not only will you have the most accurate egg flow system, you’ll also realize a very consistent and reliable egg flow production process. The CIIIe is integrated tightly with the egg counters, as well as the variable frequency drive to ensure proper egg flow. The variable frequency drive will automatically adjust the system’s controls to match the flow of eggs. 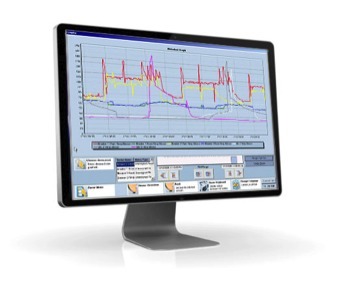 With PMSI’s complete Responsive Egg Flow (REF) system, you can monitor and manage the entire system no matter where you are. You can log in from your home computer, or mobile device to monitor the system. Additionally, if the system detects an issue which needs to be attended to, the REF system will send out an alert to make sure you are able to respond immediately. PMSI’s egg counters will accurately count every egg which passes under the egg counter. 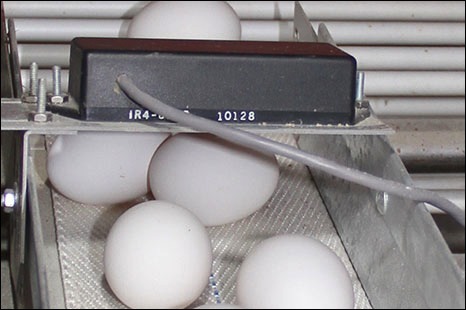 A sealed design allows the sensor to operate in harsh poultry house conditions, even during wash down, resulting in egg counters which last a long time. INTELLIGENT CONVEYOR CONTROL SYSTEM (ICCS) HELPS CUSTOMERS IMPROVE THE RELIABILITY OF THE LONG AND COMPLEX ROD CONVEYOR SYSTEMS INVOLVED IN SOME OF TODAY’S LAYER COMPLEXES. THE ICCS WILL ALLOW YOU TO RUN THE LARGEST AMOUNT OF PRODUCT WITH THE SMALLEST AMOUNT OF DOWNTIME. 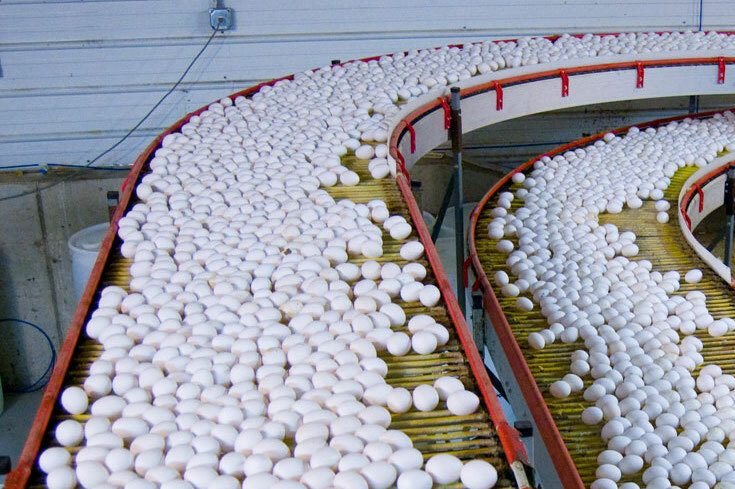 The ICCS is a conveyor control system that controls your cross conveyors and operates as an integrated solution with your egg flow system and egg belts. It provides immediate and relevant information to help maintenance personnel prevent inefficient run time. 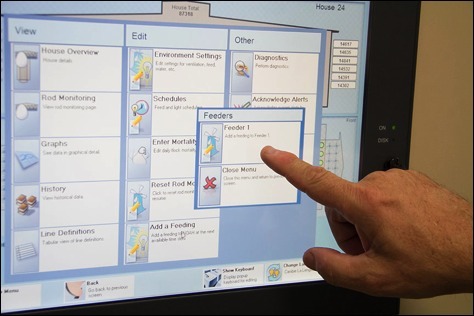 PMSI’s systems give you the information you need, when you need it. When your egg production needs attention, the REF system will send you and alert, providing you the necessary information to respond immediately. An alert can be sent to pre-determined devices with details on what needs to be attended to. The REF system provides automated detailed reports so you can maximize your egg production with minimal effort in running reports. 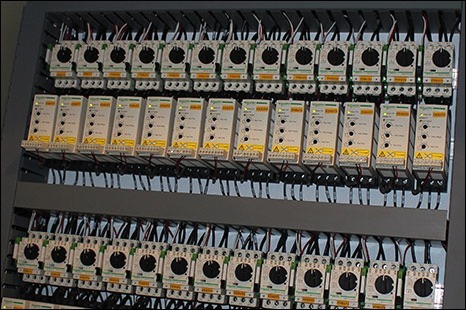 PMSI is proud to announce a complete line of custom motor control panels in addition to our standard CIIIe poultry house controls. This means it is now possible to order all your control panels from one source with the total confidence that everything will be designed to work together as a complete system.